Box Steam Brewery has partnered with national pub group Punch to promote awareness of men’s health and honour those sporting facial hair during Movember. The family-run regional brewer, based between Melksham and Bradford on Avon at Holt, is supplying its aptly-named Handlebar ale as the November guest beer for Punch’s 1,300 pubs. Produced in support of Prostate Cancer UK, every pint of Handlebar will include a 5p donation to the charity. The brewery describes Handlebar as “a full bodied 3.4% ABV copper-coloured bitter”. It is made with New Zealand Motueka hops, which add a lemon-and-lime twist to the beer’s clean and refreshing taste. 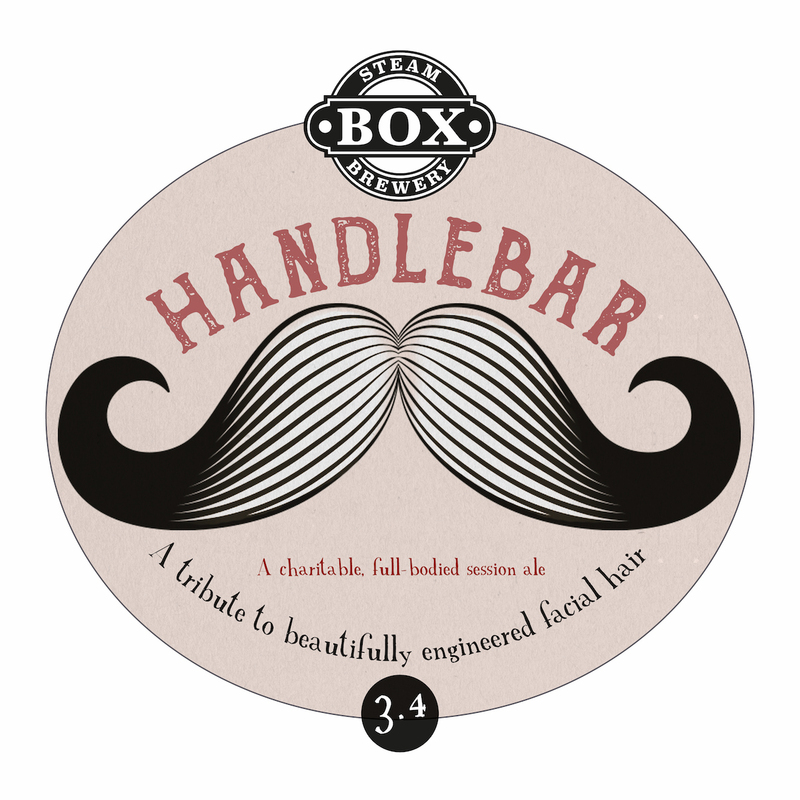 Box Steam brewer Tom Downes said: “We hope the arrival of this zesty Handlebar beer and its striking bar pump clip will encourage plenty of healthy donations. Handlebar follows the brewery’s first supply of rotation beer to the pub group in July. Box Steam has become established for producing steam-infused varieties of cask, keg and bottled beers, all handcrafted in its brewery, which takes its inspiration from the idea of beautiful engineering and the achievements of Isambard Kingdom Brunel. The brewery’s look and drink names provide a link to the great age of steam as well as Brunel's famous Box Tunnel, near the company’s original site. The current brewery has capacity to produce 6,300 hectolitres a year.